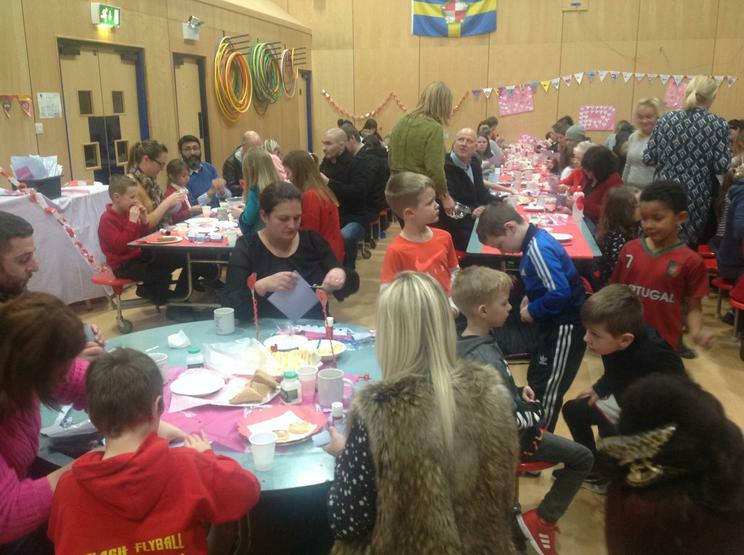 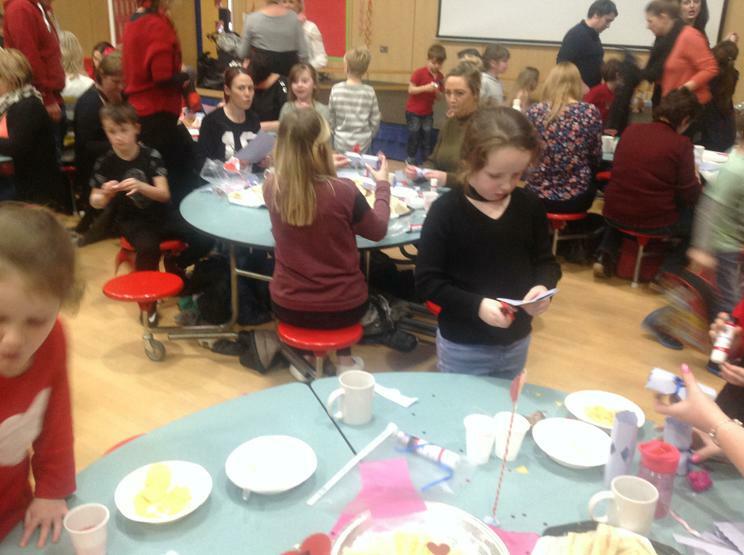 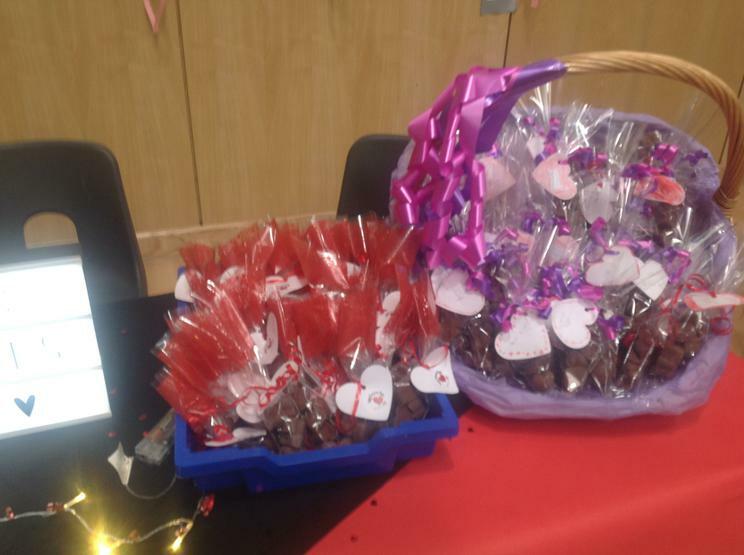 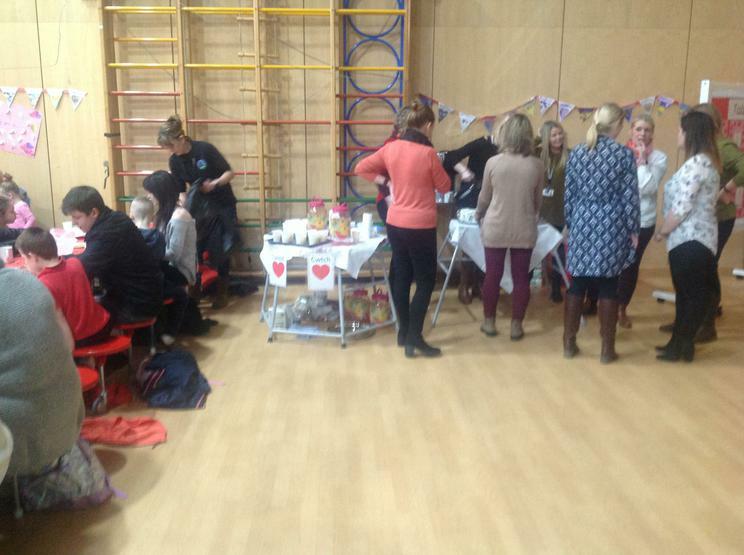 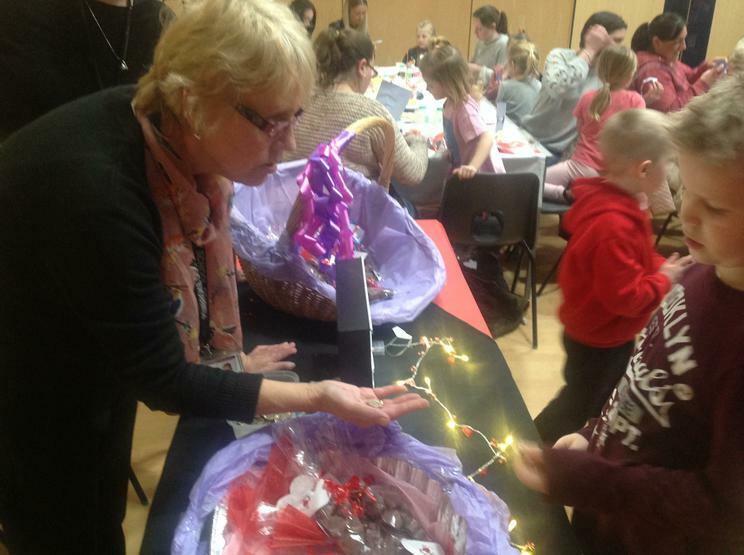 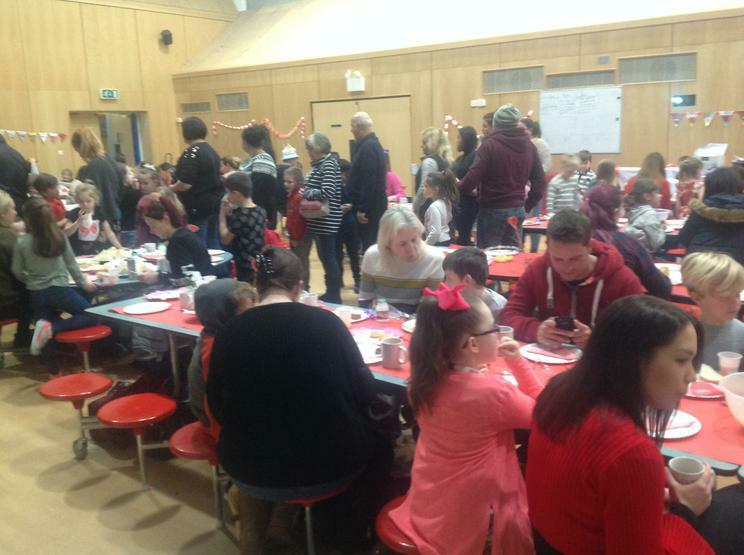 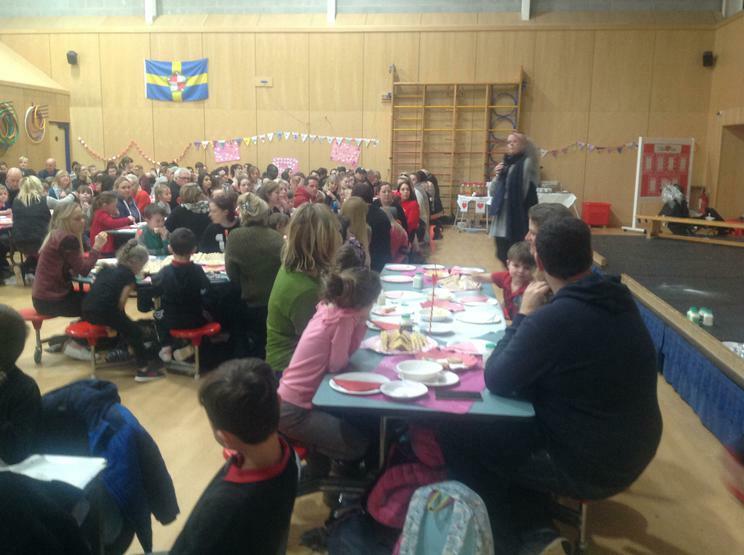 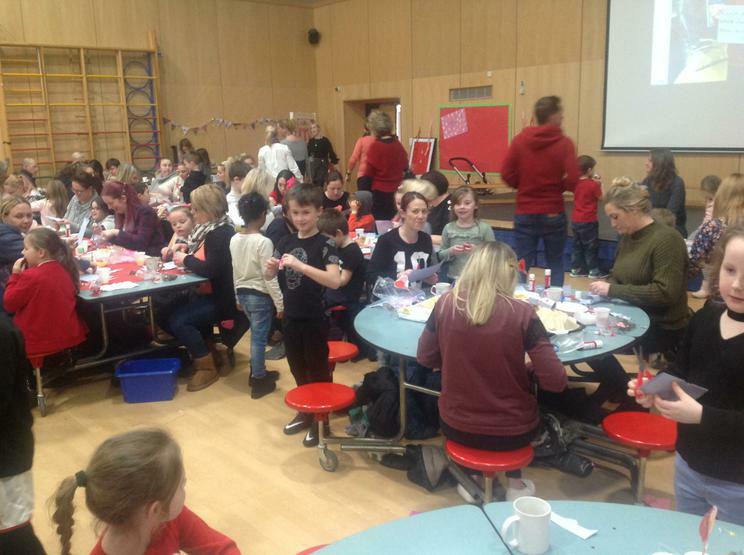 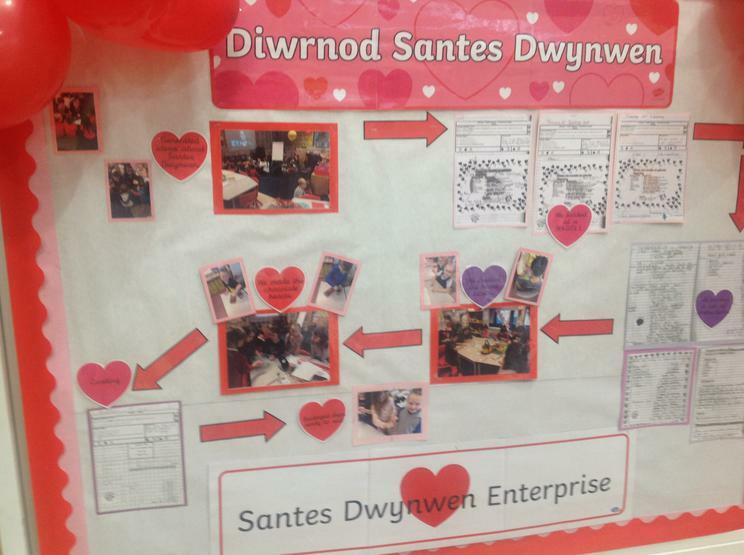 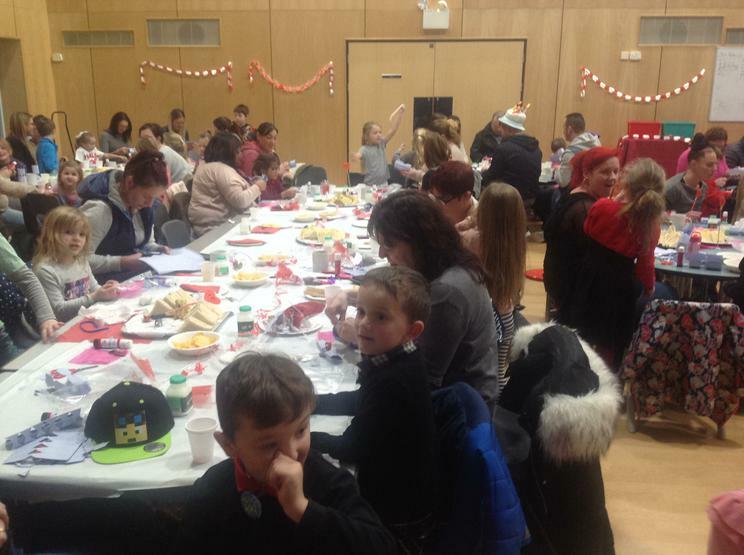 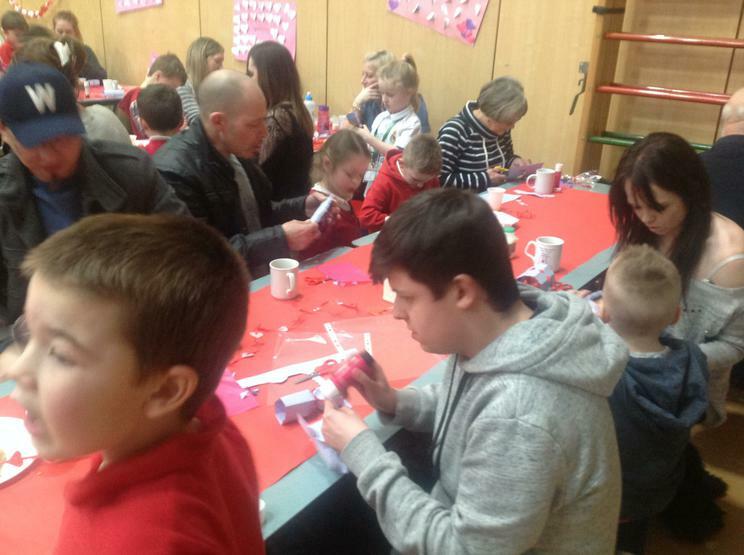 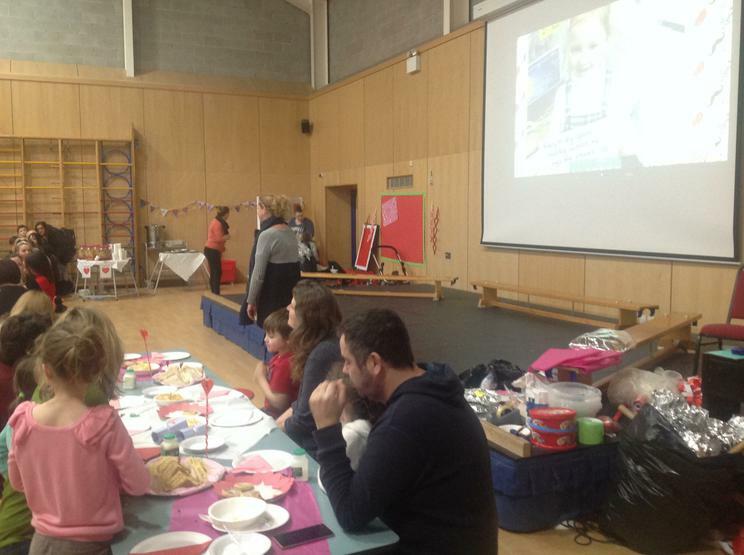 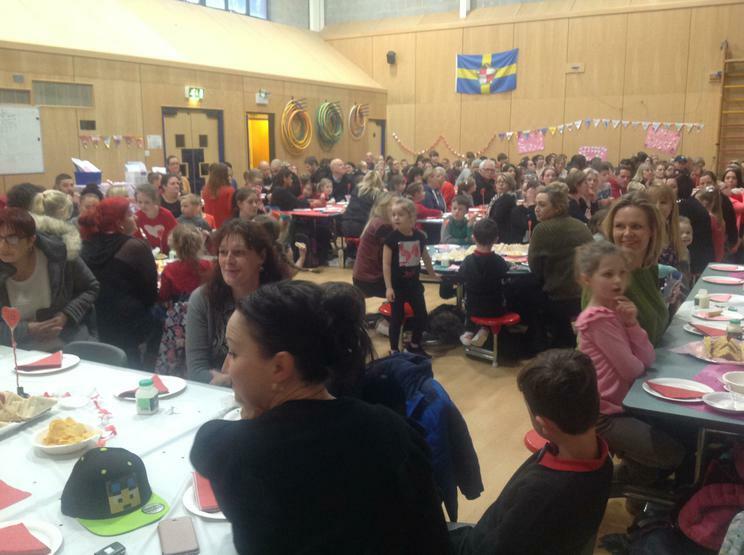 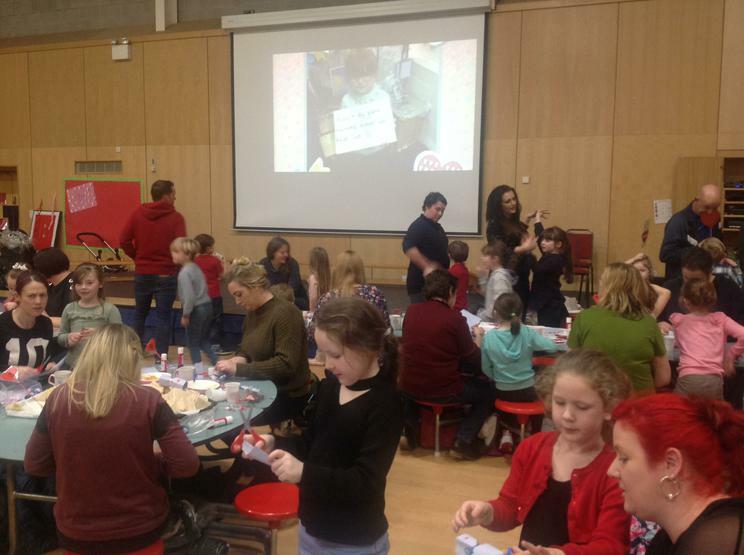 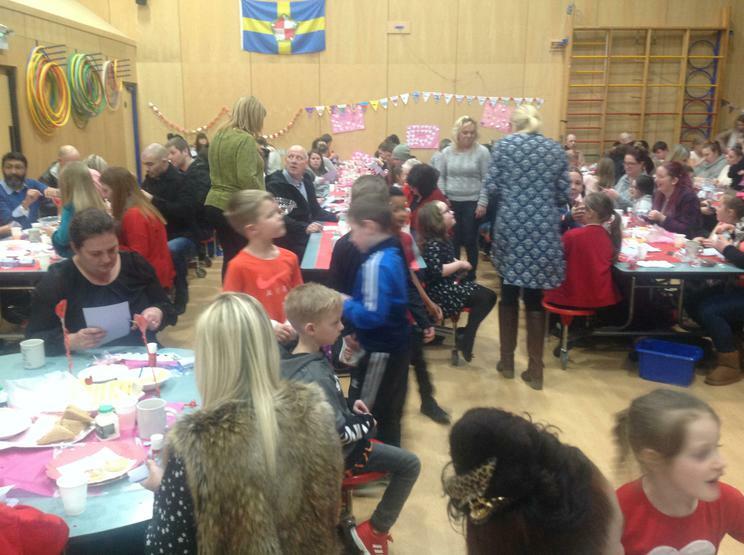 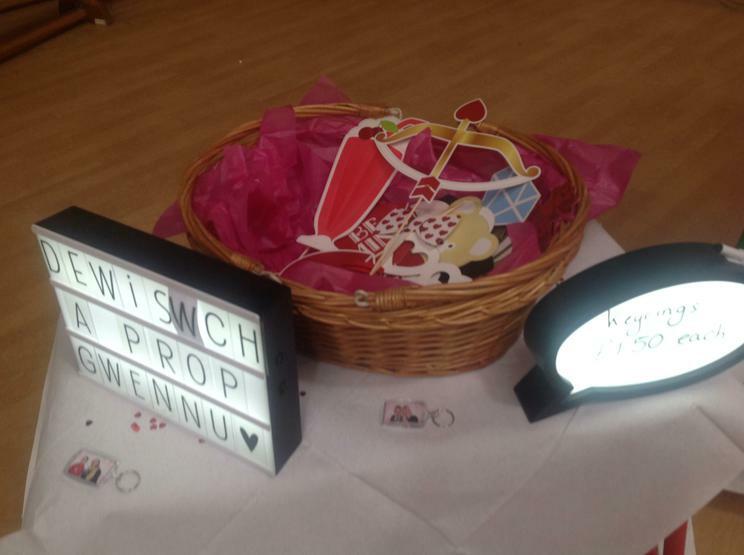 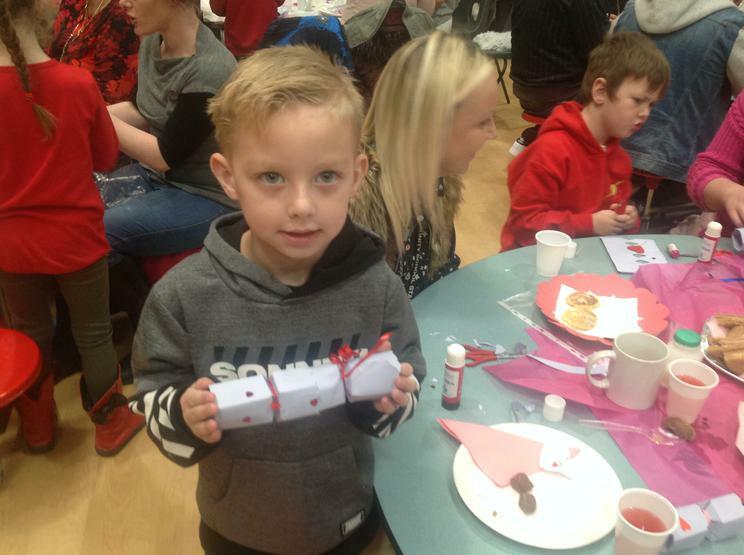 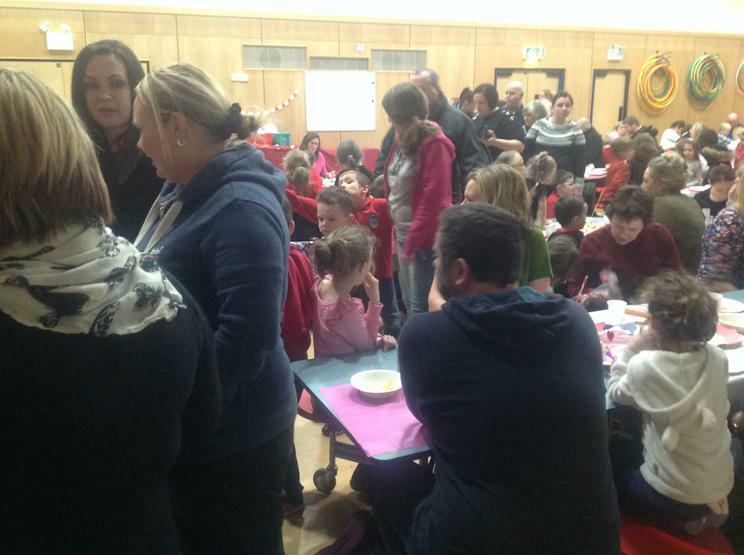 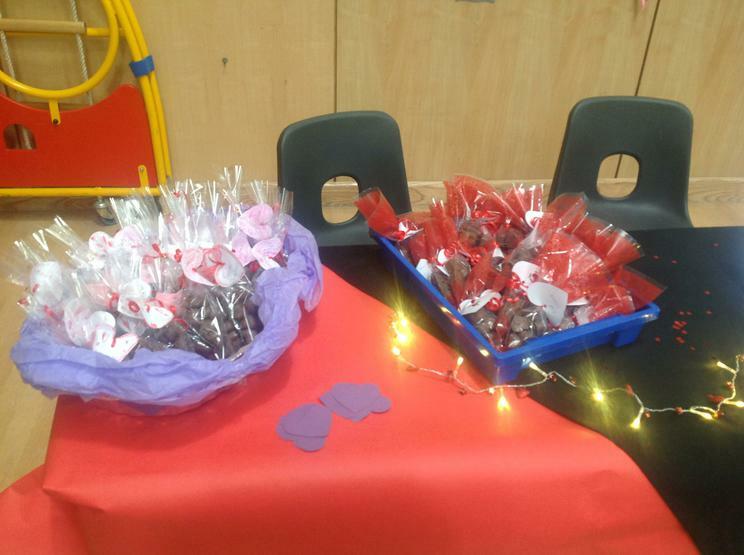 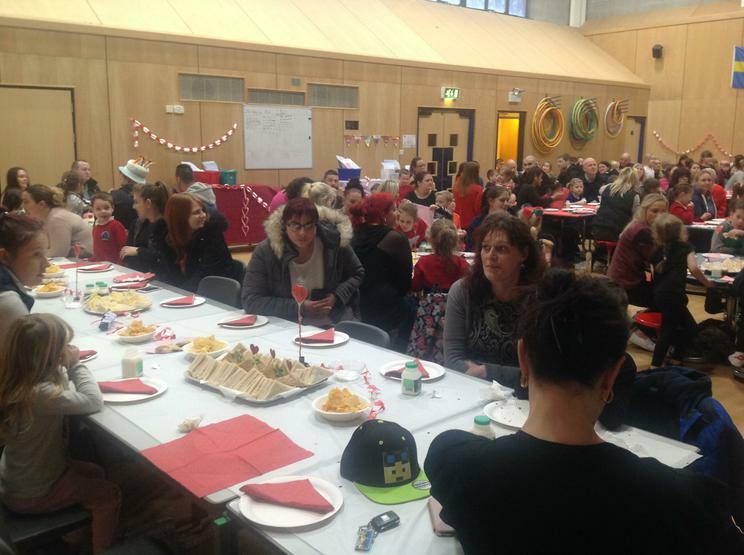 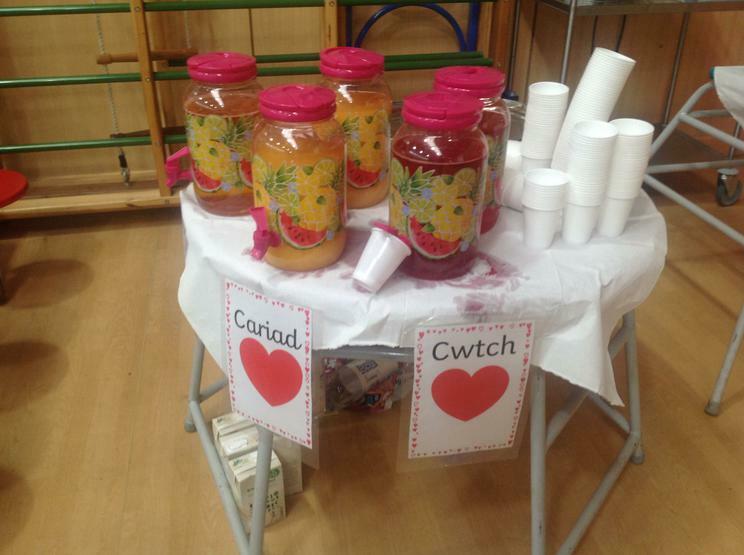 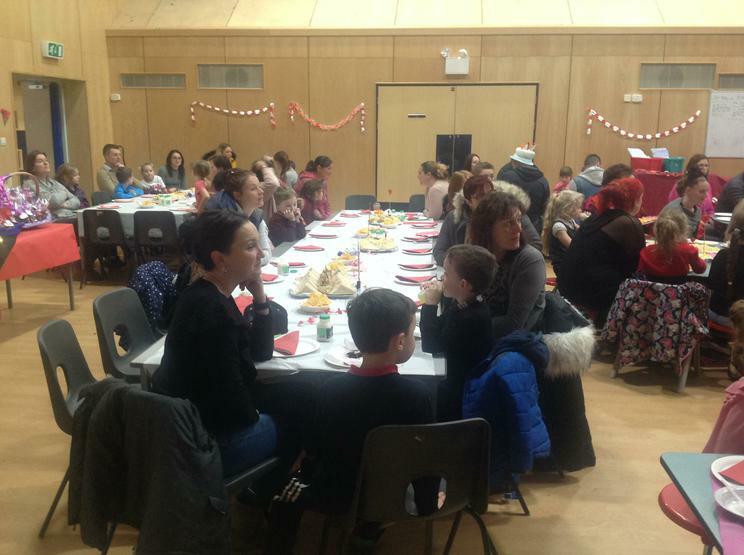 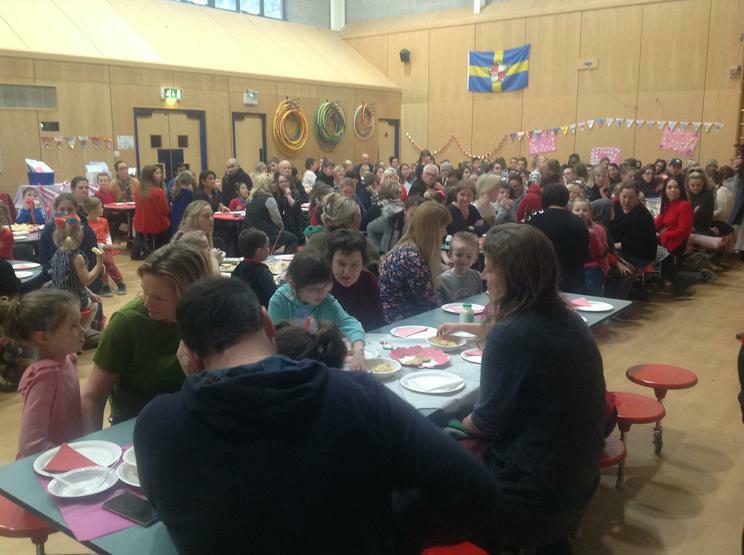 To celebrate Dydd Santes Dwynwen 2018, Year 1 and 2 staff organised an an afternoon tea and enterprise event which saw over 200 pupils and family members in the main hall. 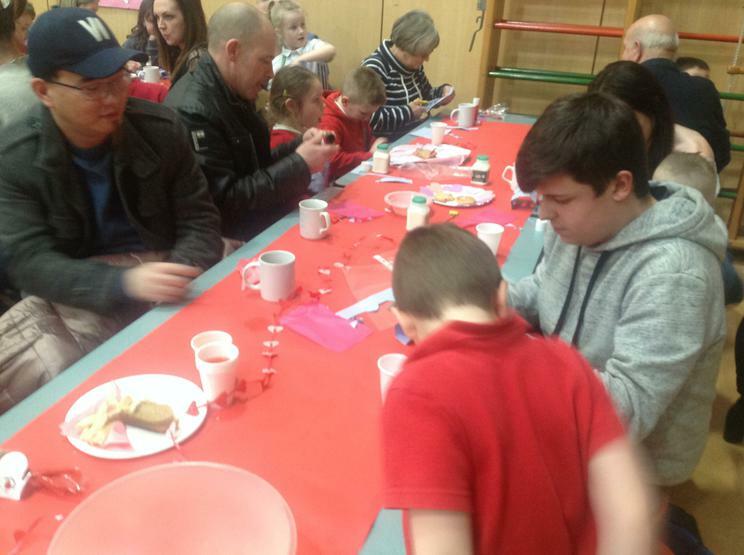 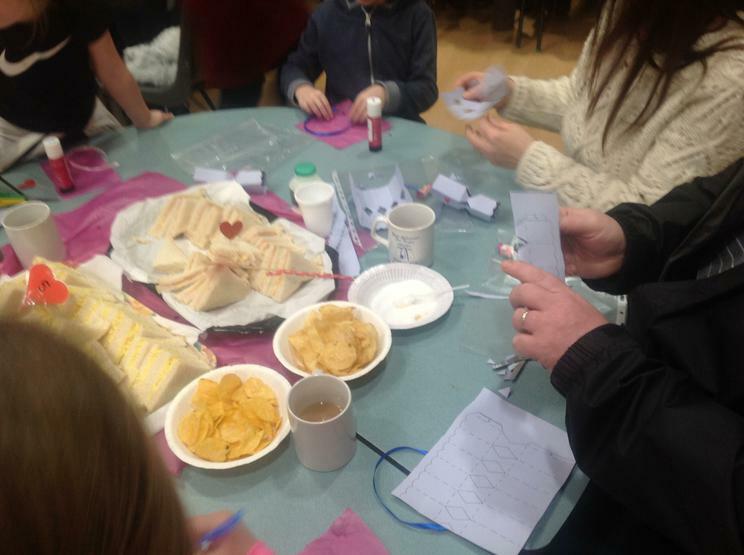 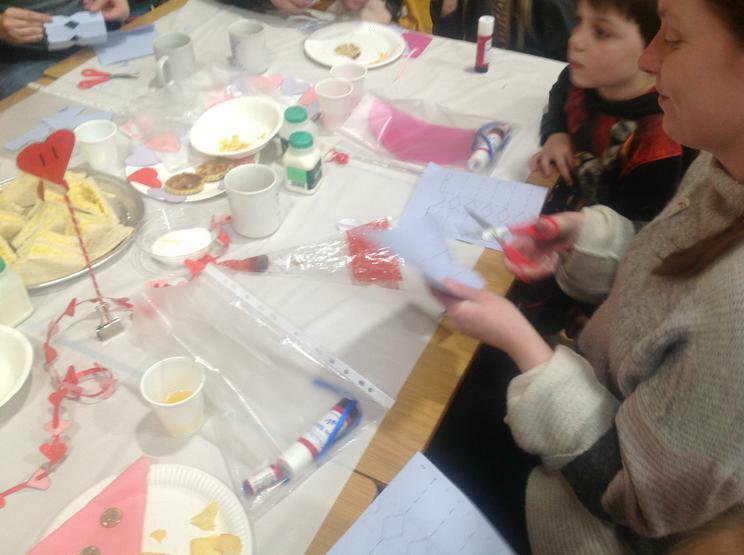 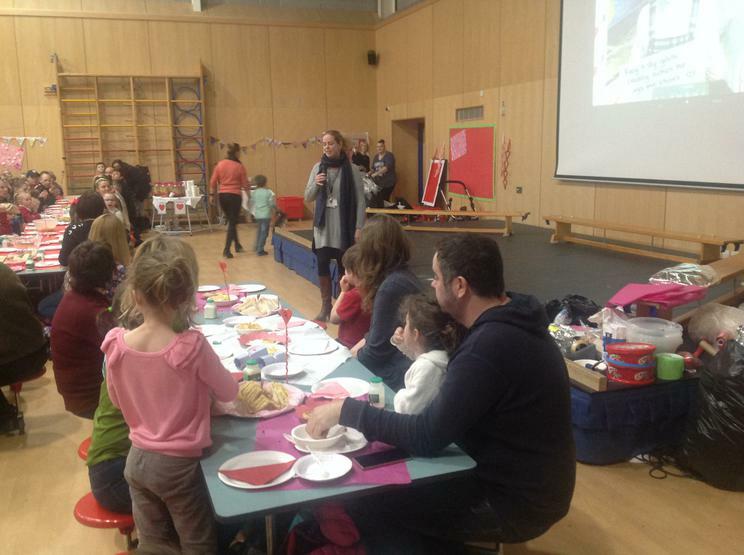 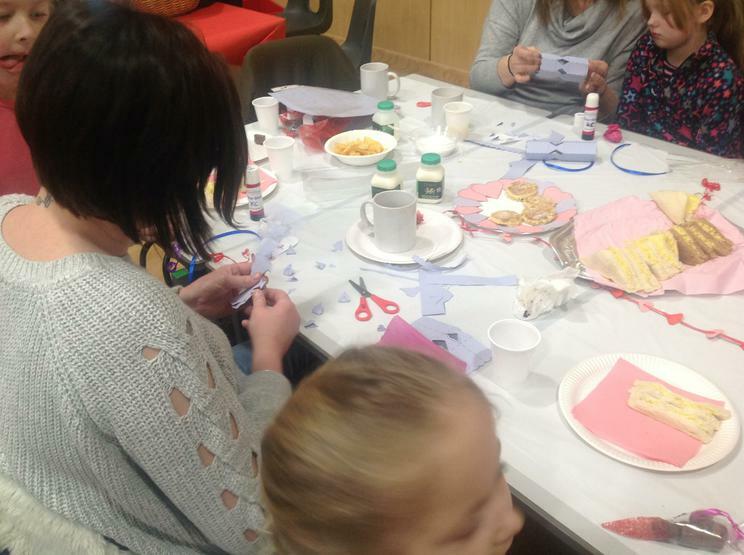 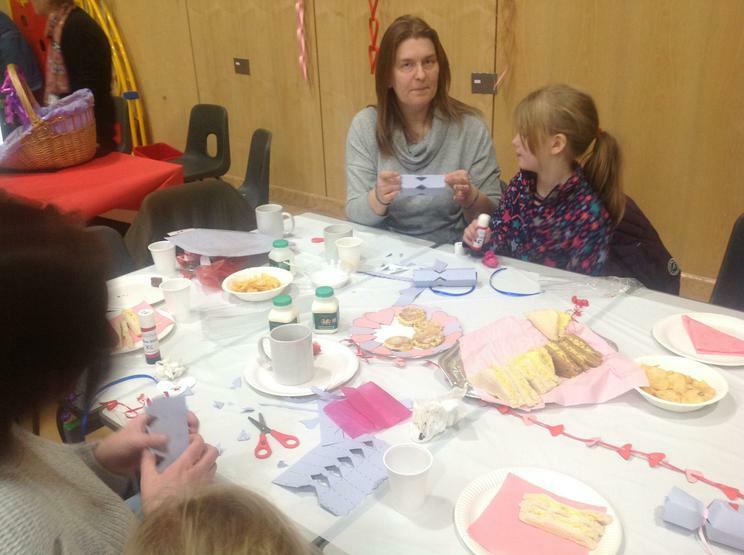 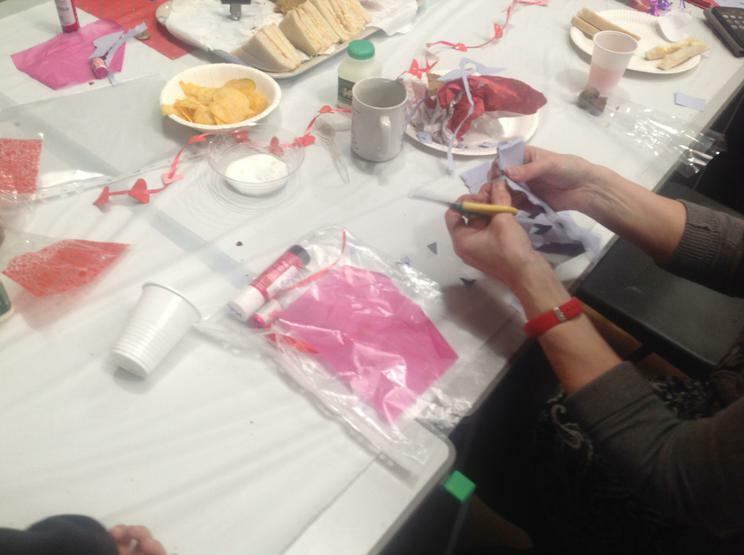 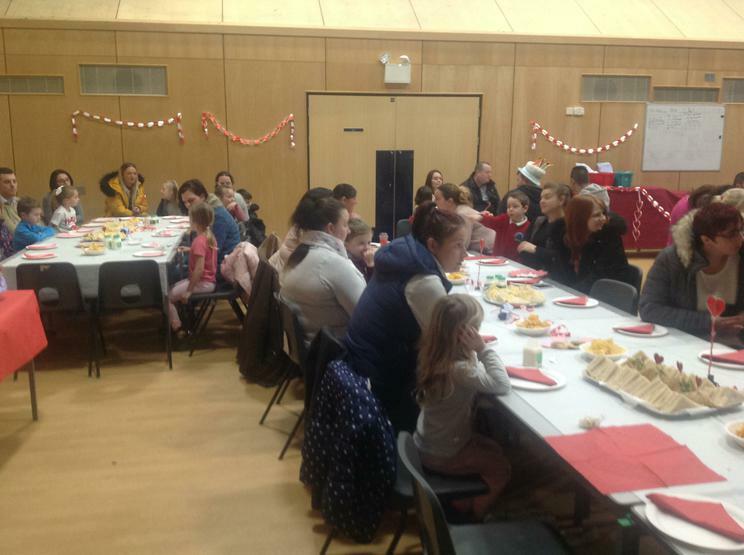 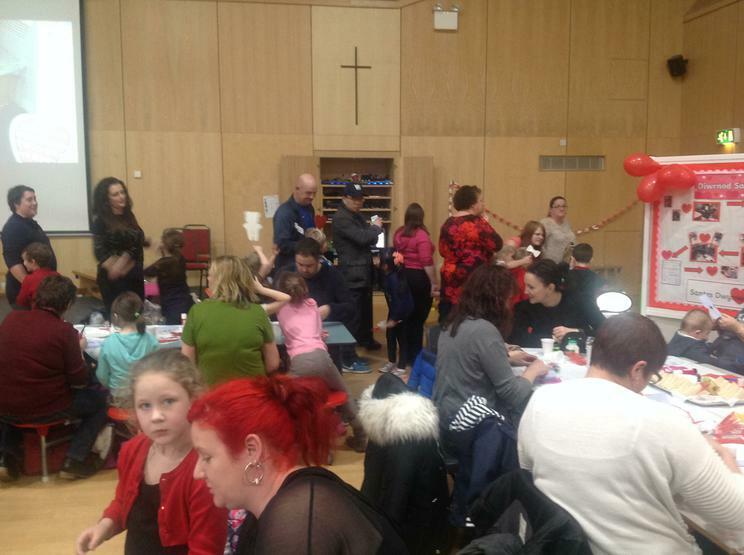 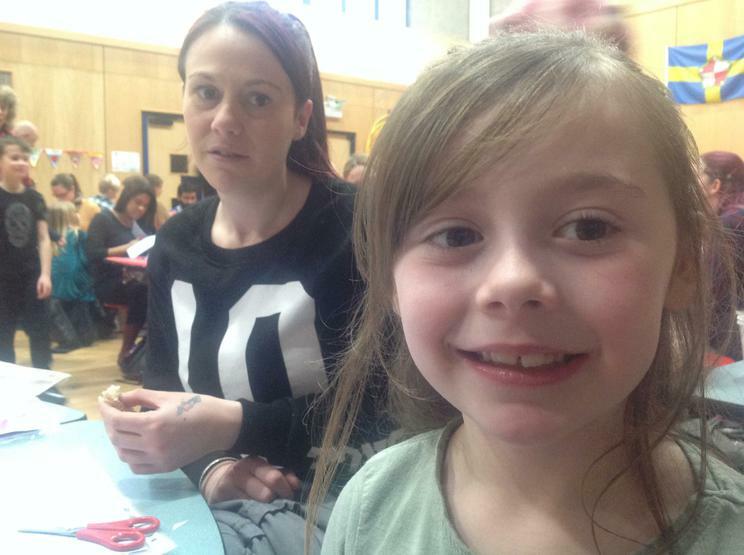 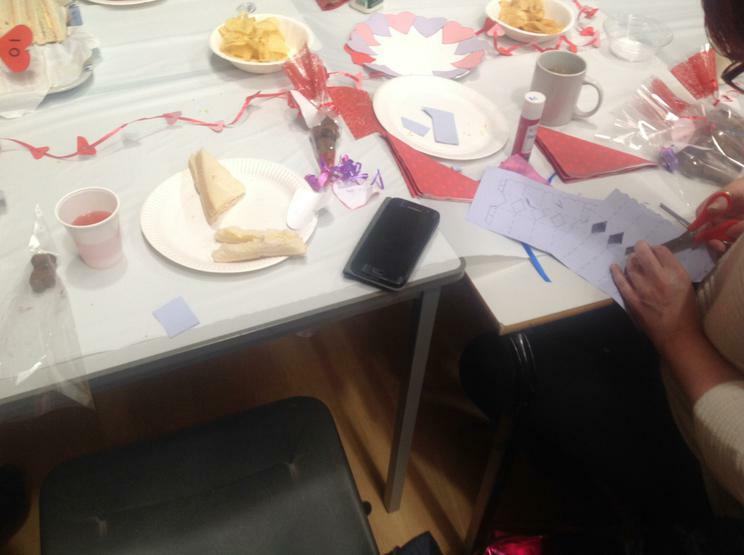 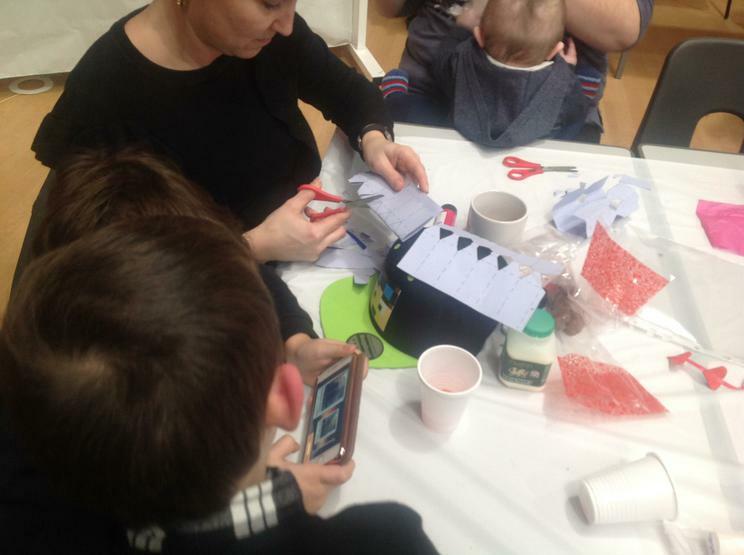 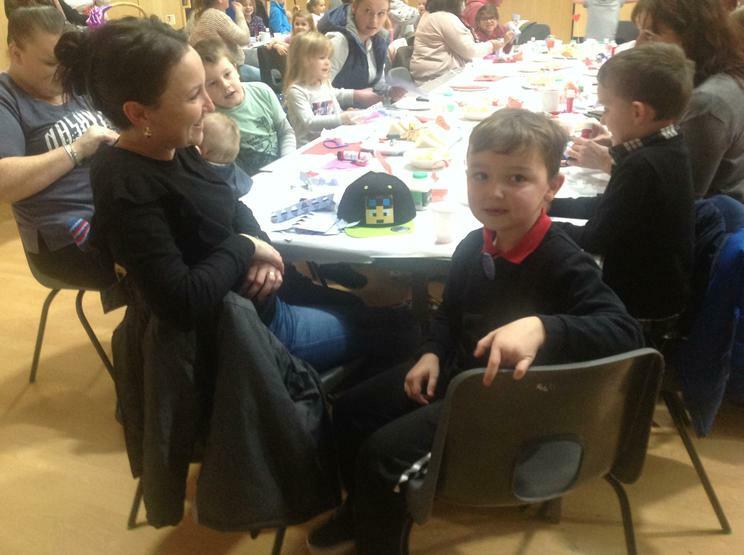 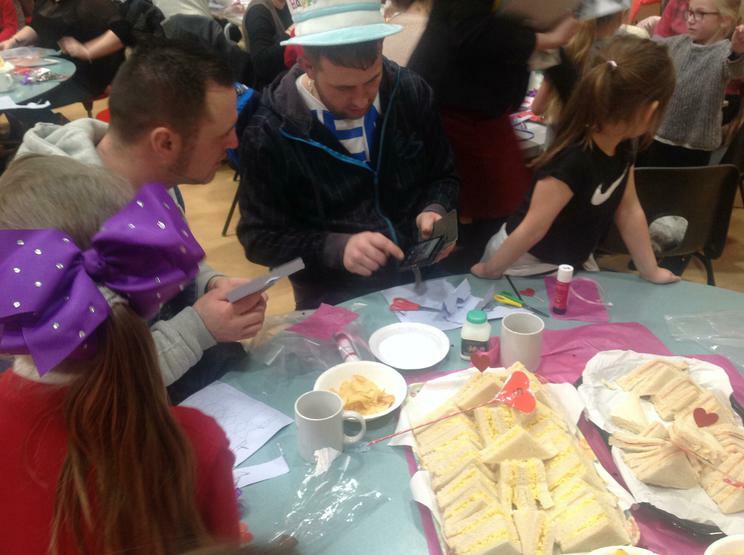 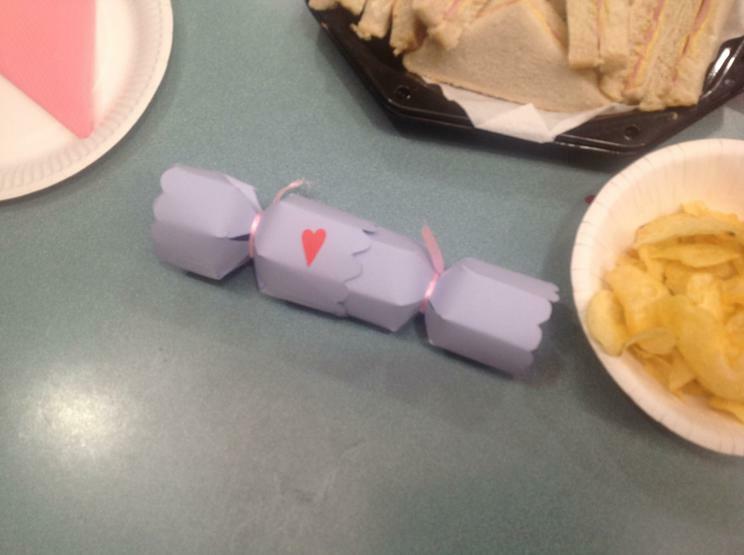 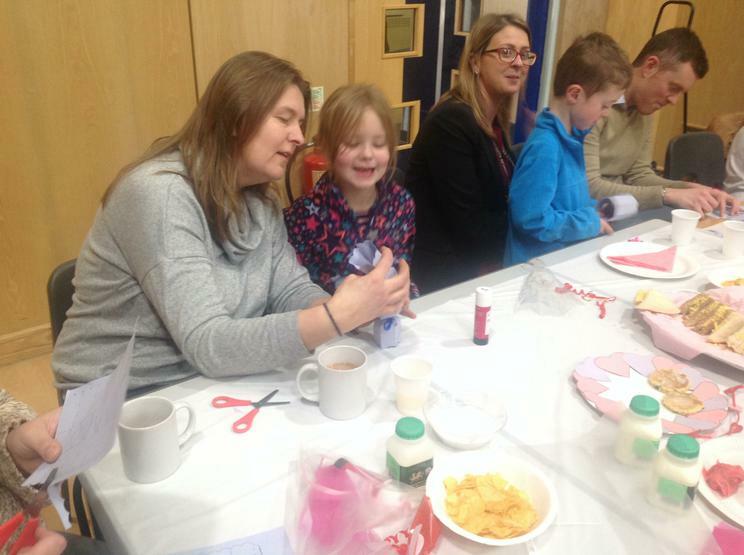 As part of the afternoon, sandwiches and cakes were enjoyed with a cup of tea, before families made key rings and other crafts together. 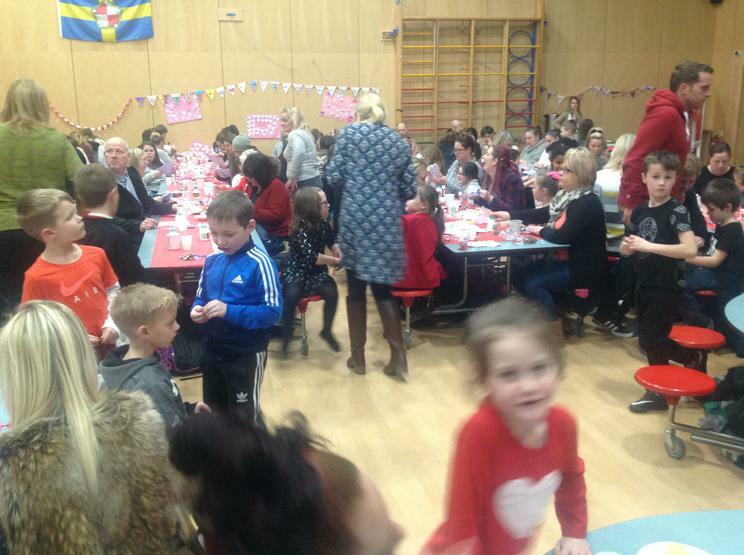 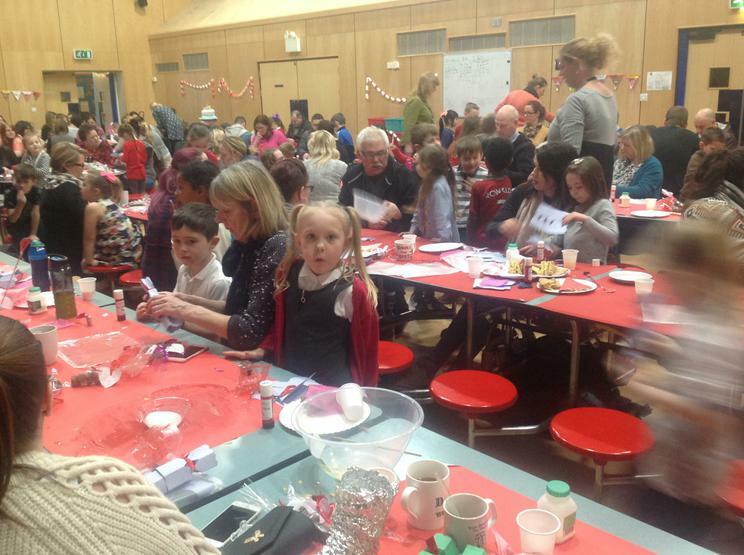 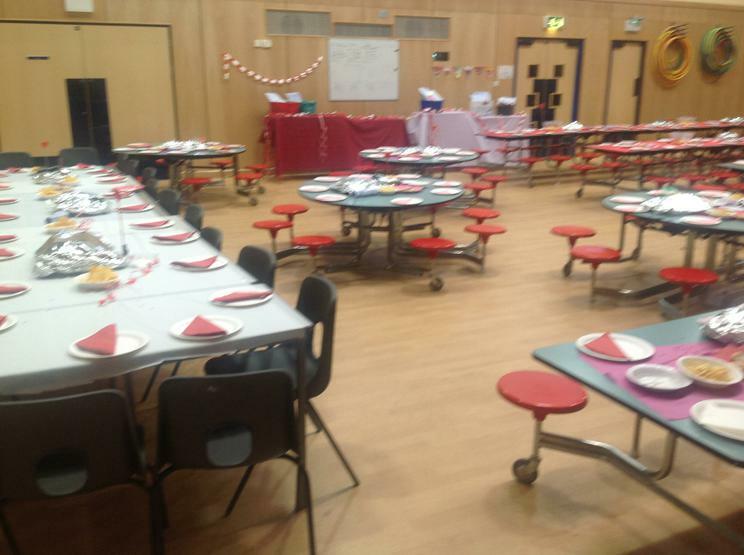 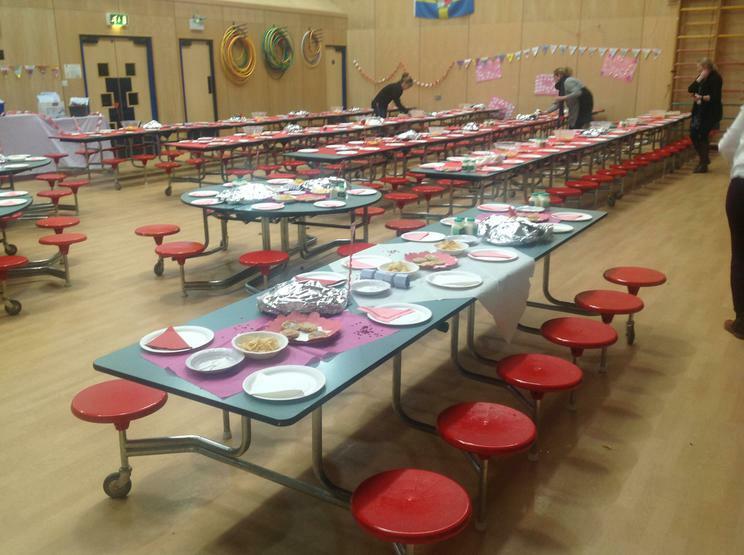 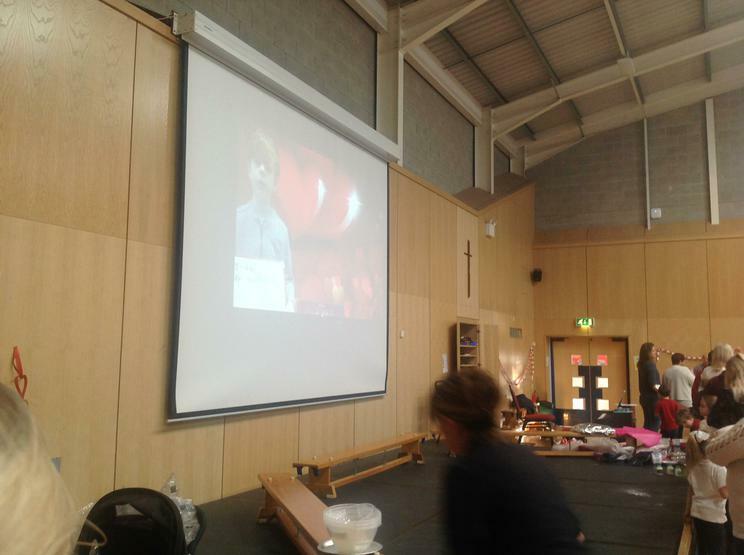 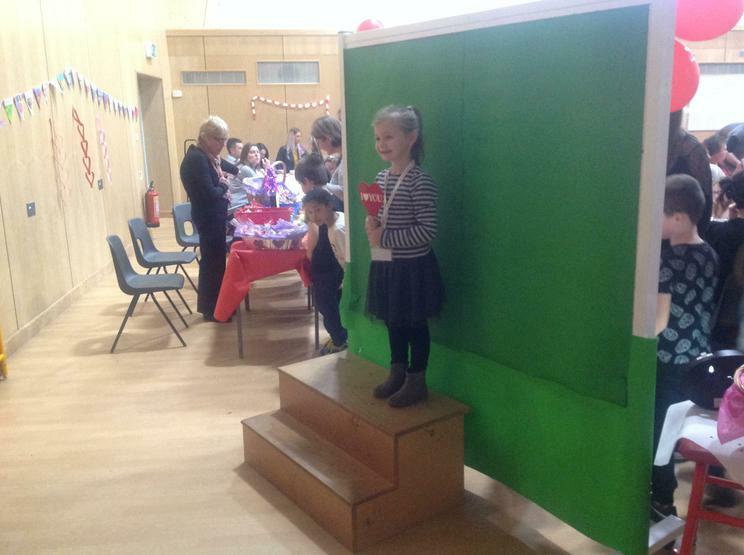 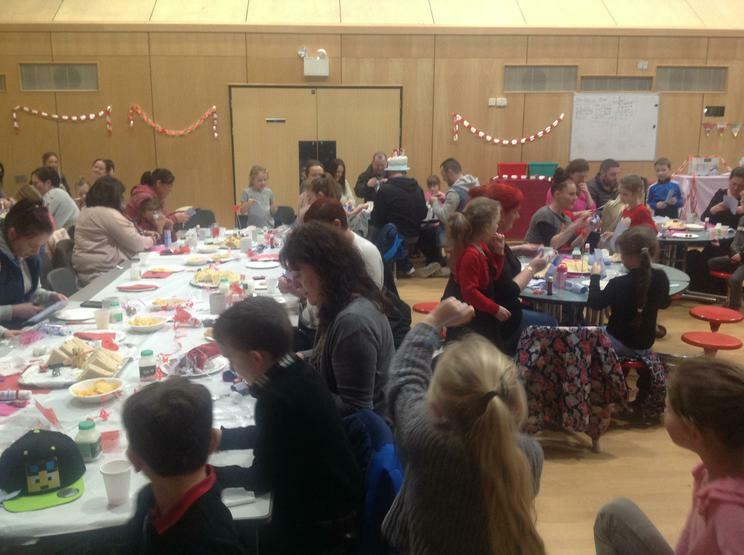 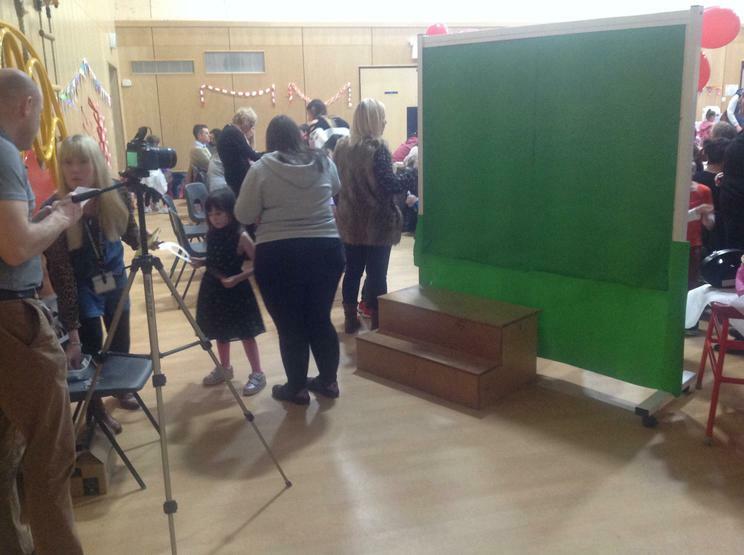 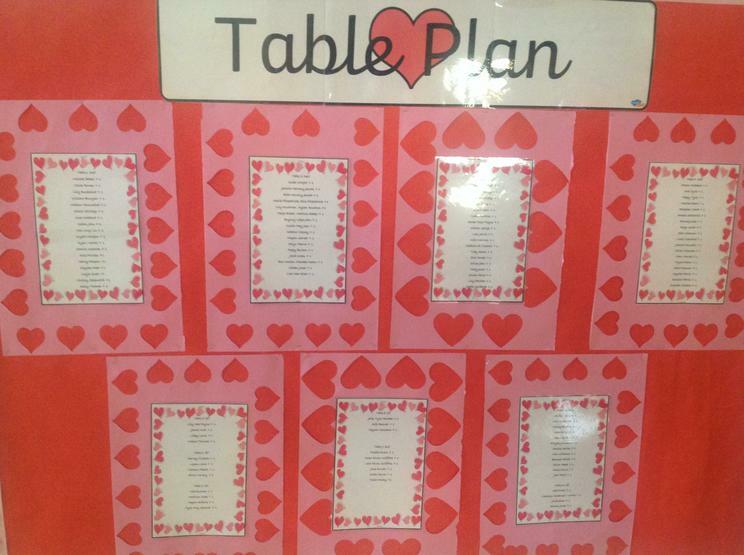 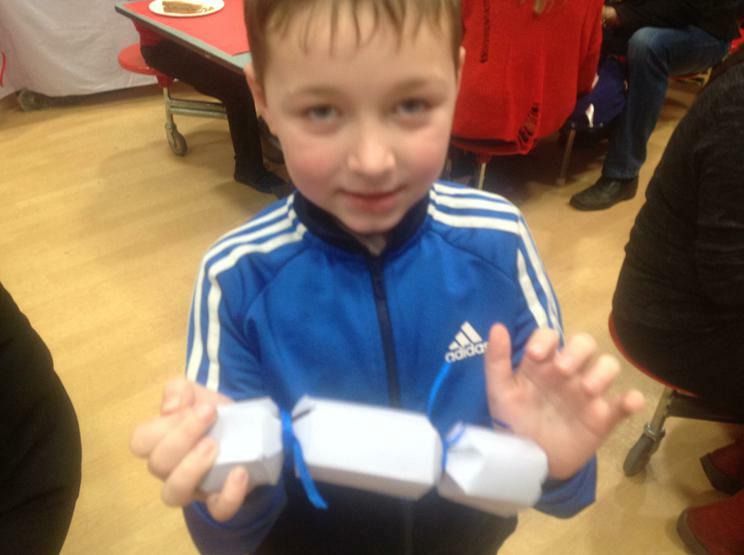 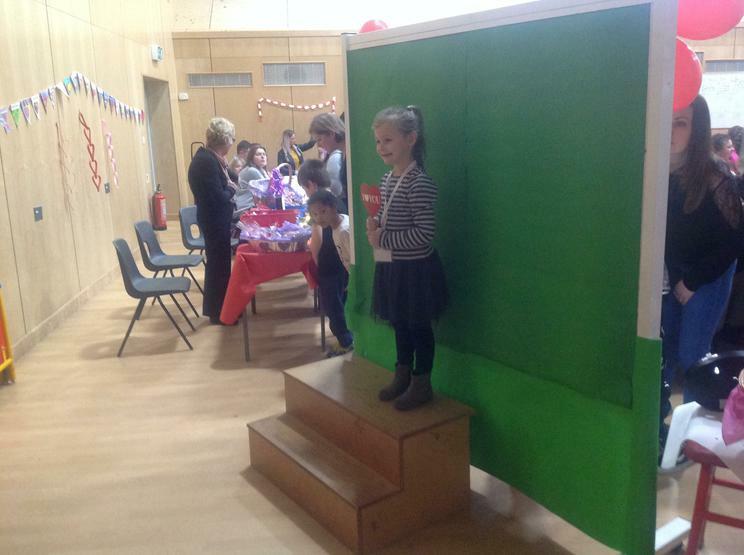 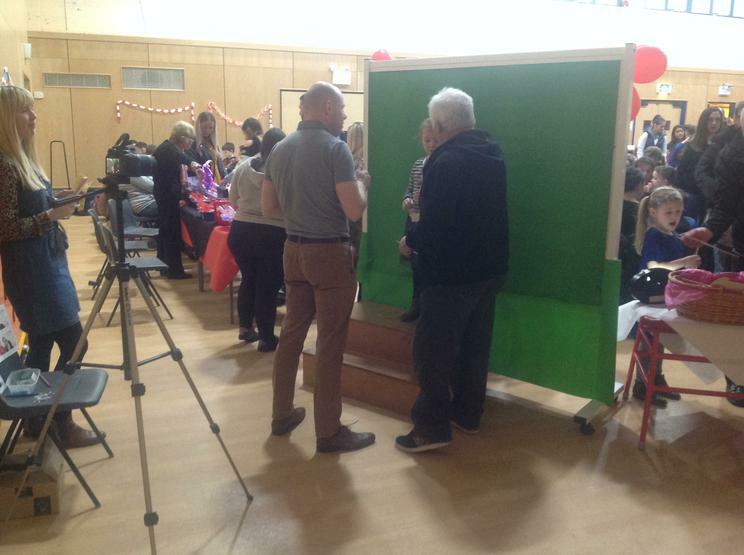 Pupils and staff were involved in all of the planning and its huge success is down to their hard work. 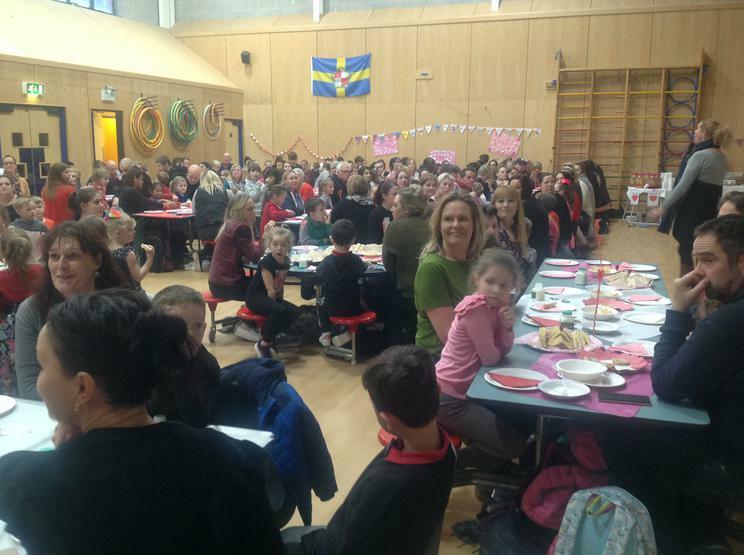 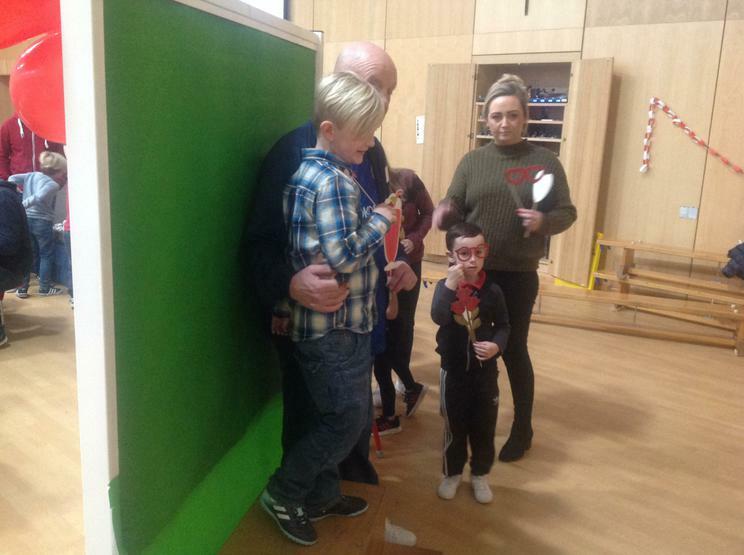 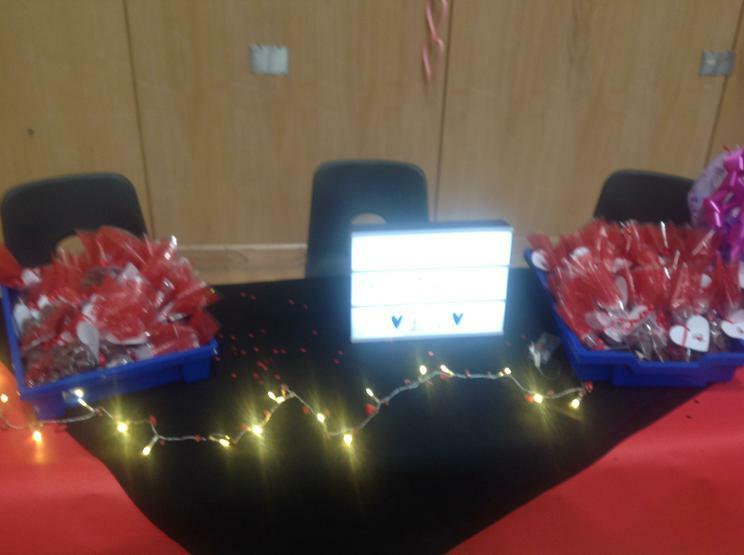 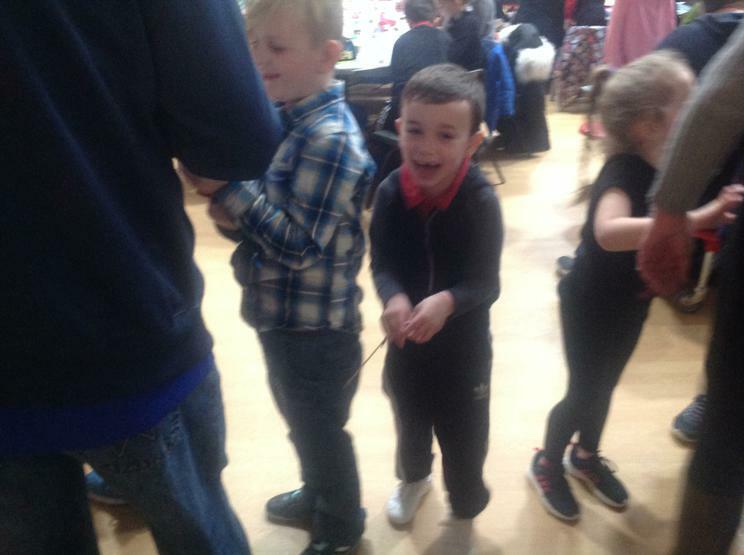 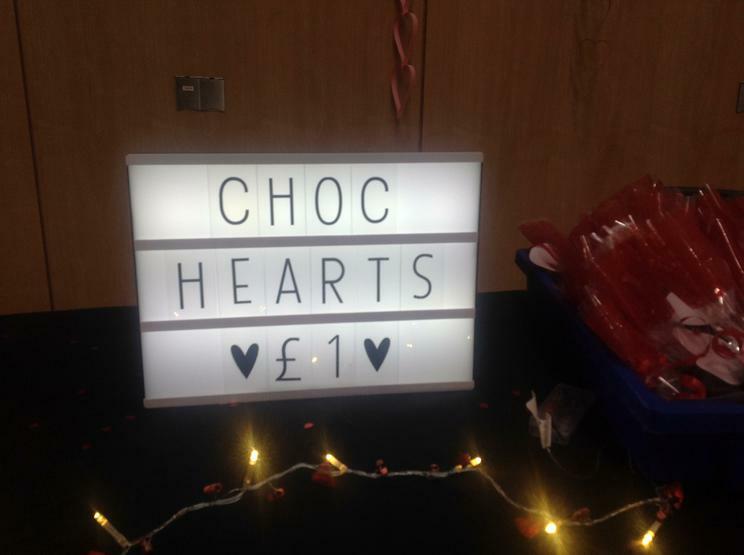 Mrs McGrath, Head of Year 1 and 2 commented "We are really proud of the pupils and staff who have worked incredibly hard to organise this event. 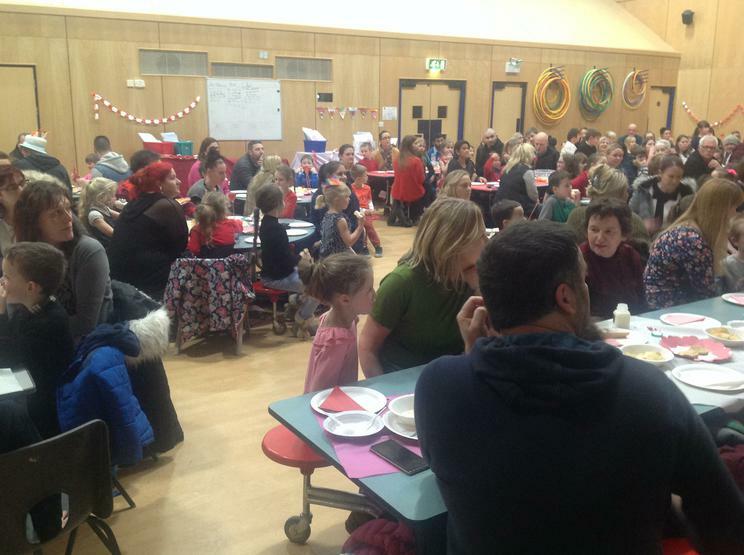 To see so many parents, friends and family here is wonderful. 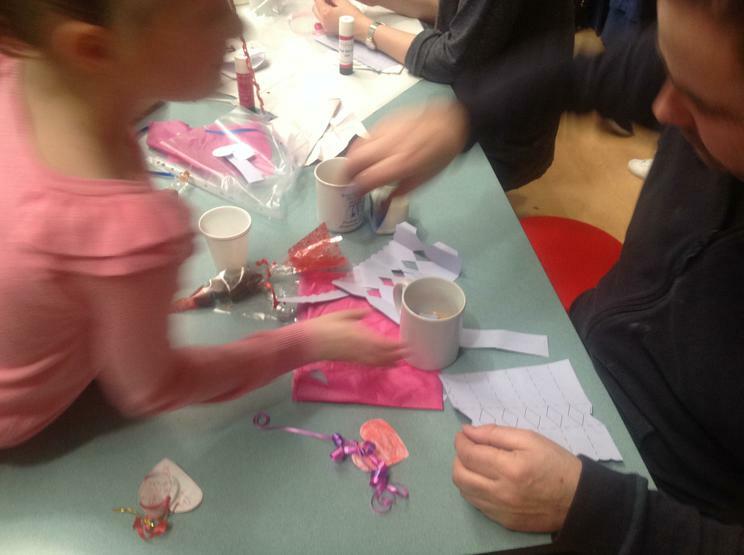 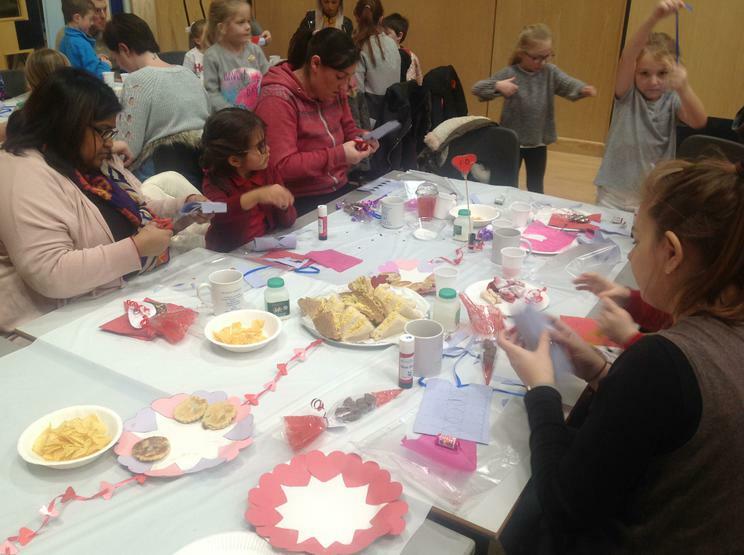 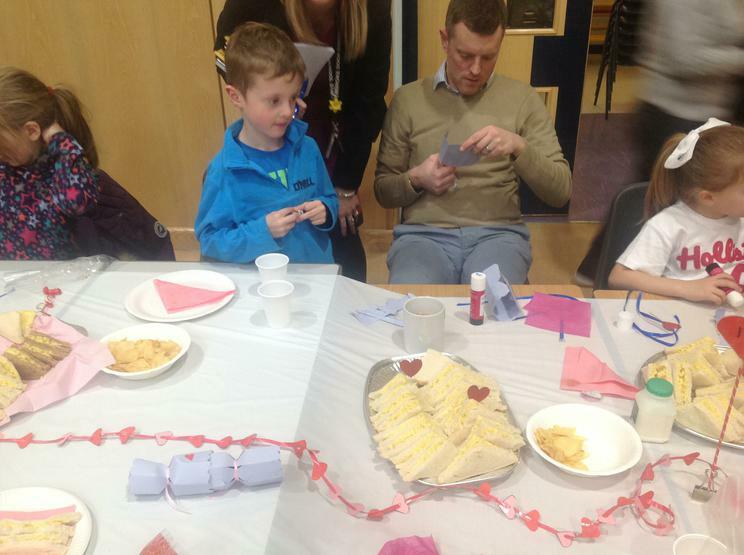 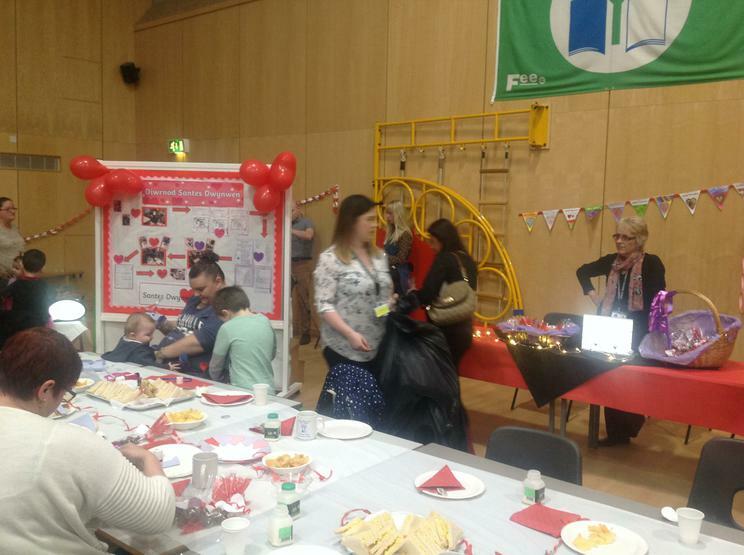 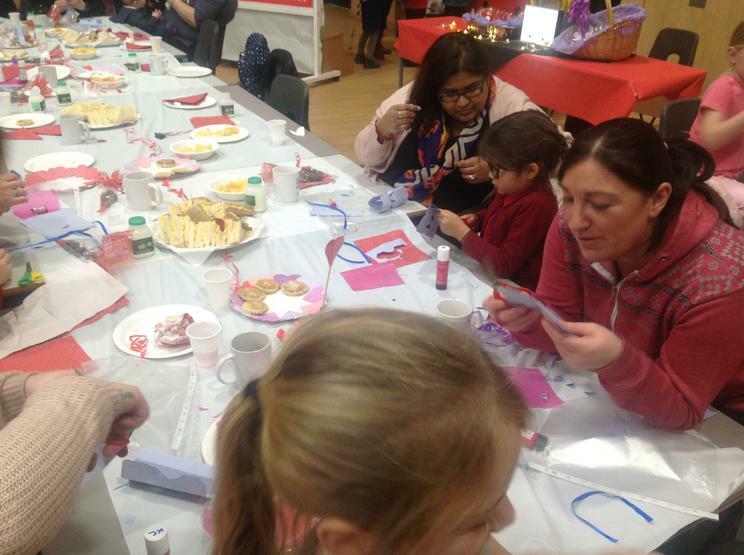 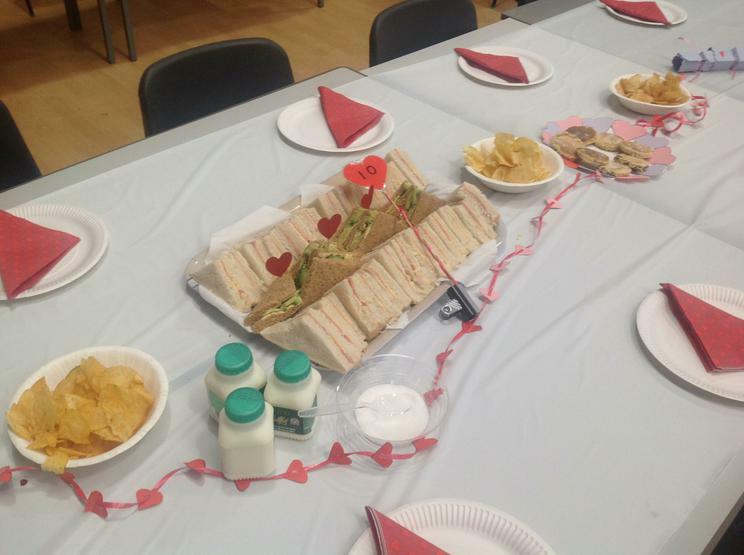 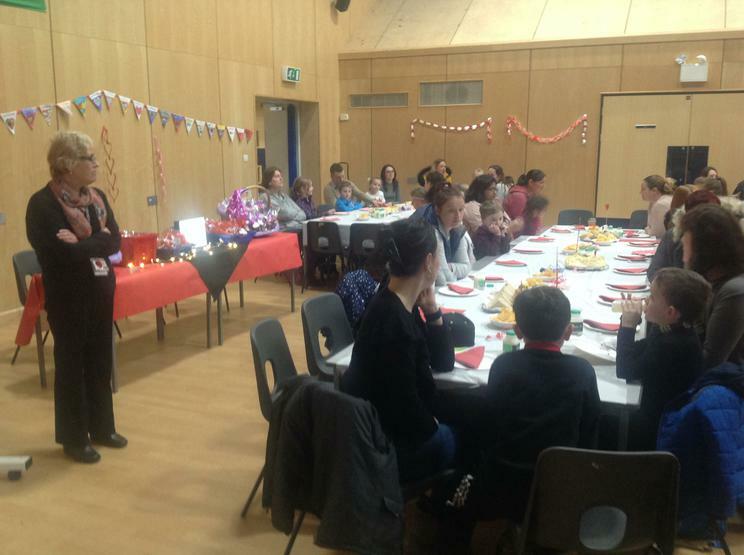 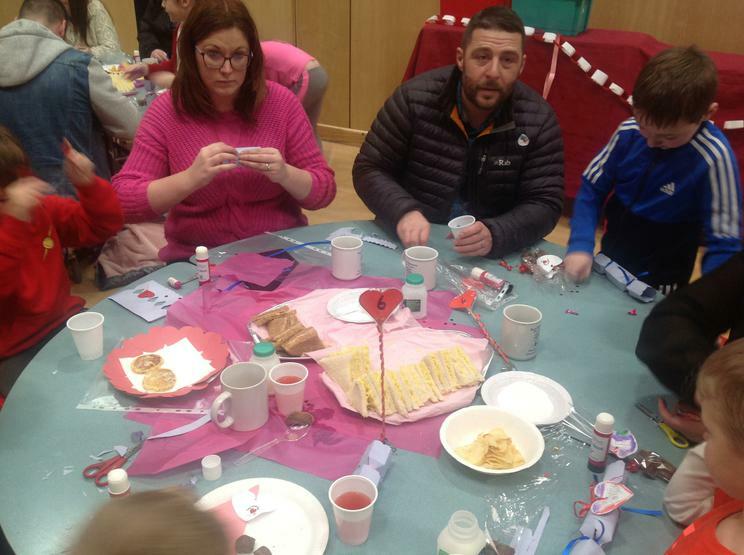 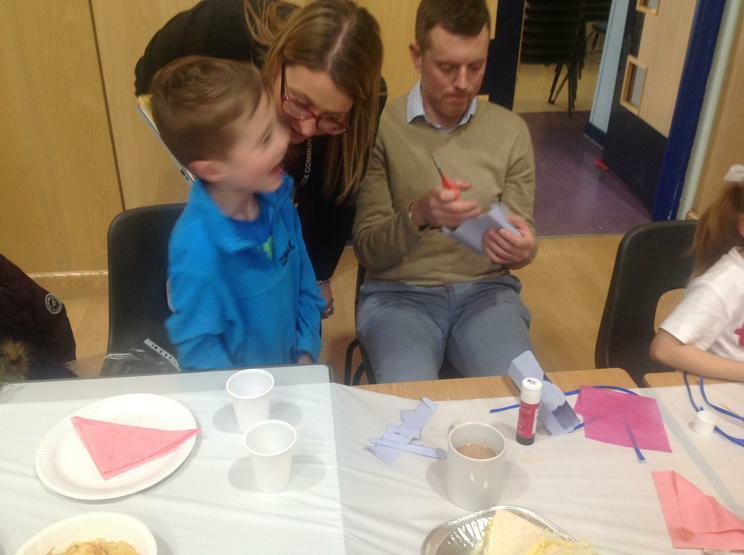 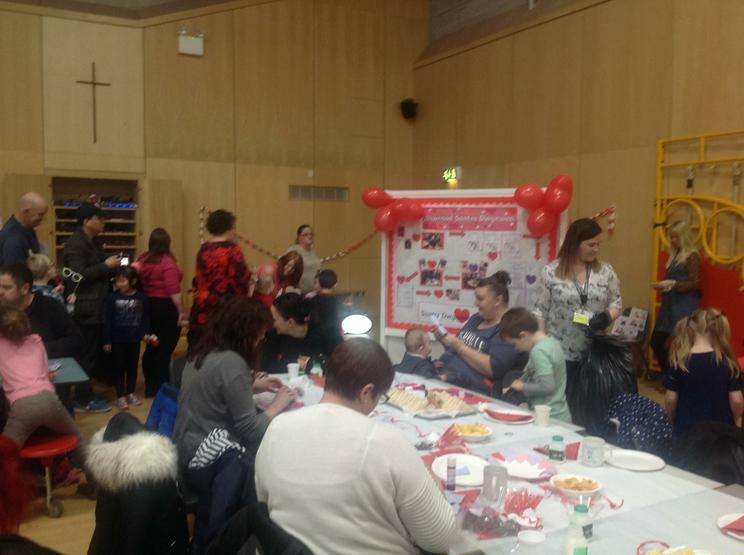 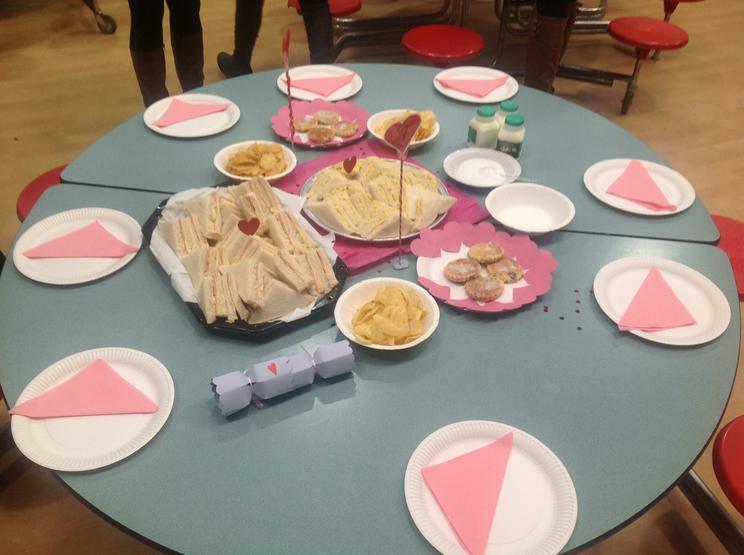 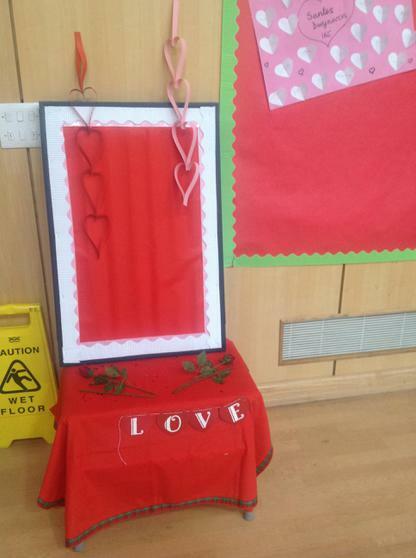 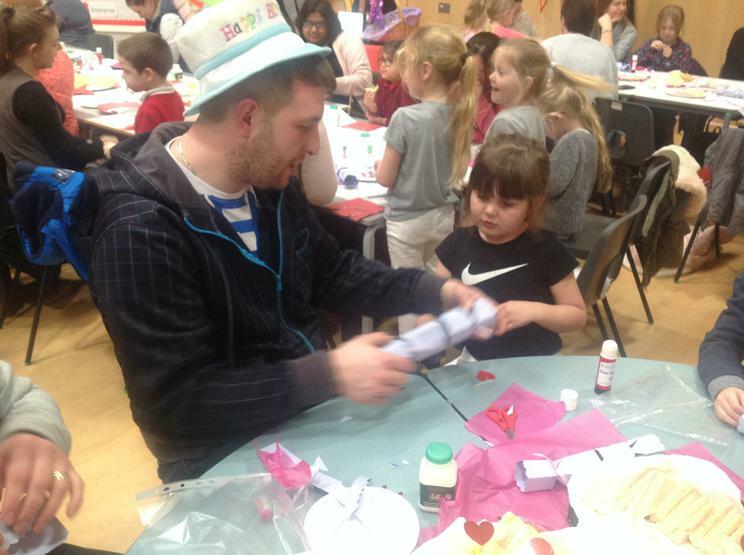 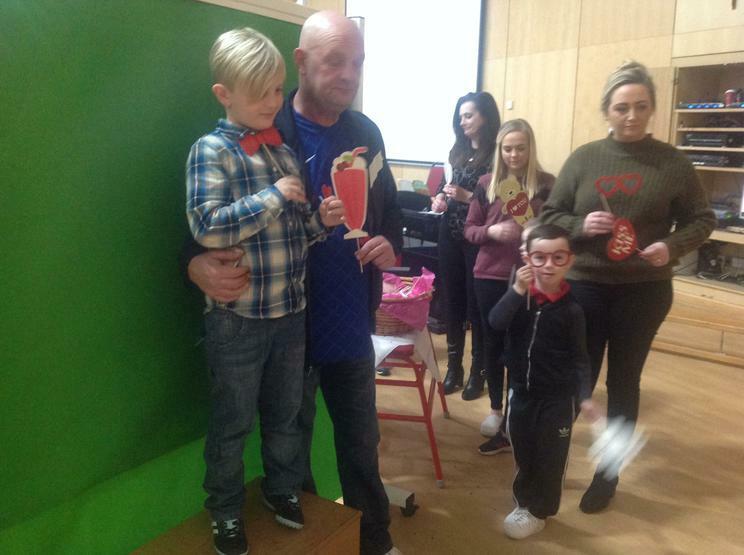 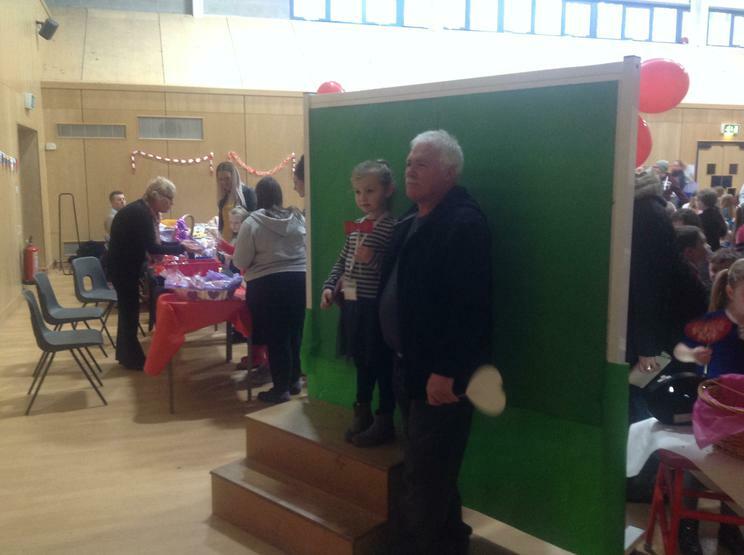 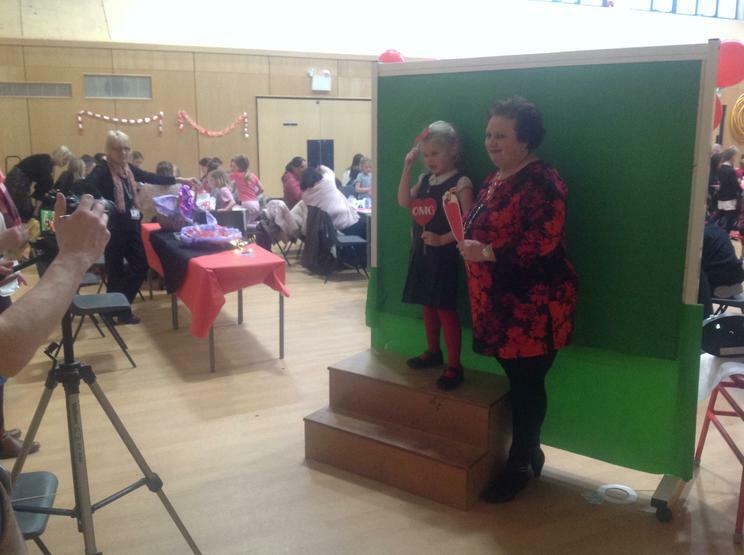 These engagement events have proven really popular and it is so important to build good relationships with our parents - we cannot wait to organise another one!"